« New John Jenkins April Releases! 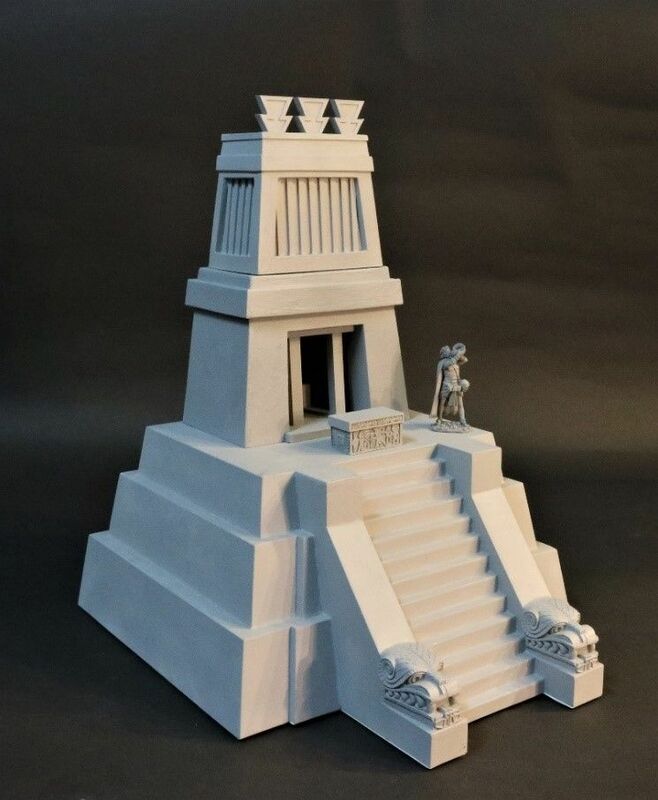 Coming throughout 2019, and previewed at the March London Toy Soldier show were the unpainted prototypes of the Aztec walled temple complex. 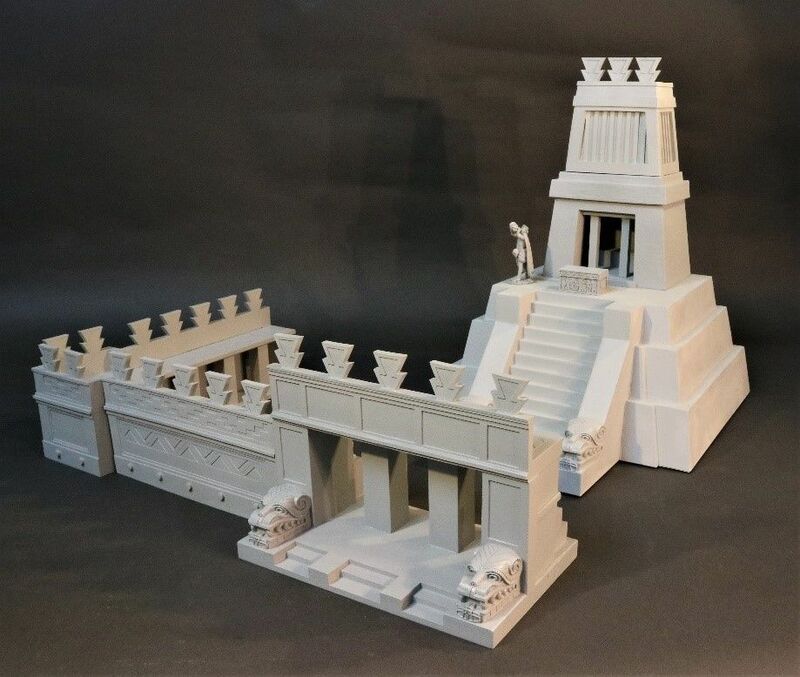 These pieces can be combined to display a large temple complex, a single temple, or even just as a walled shelf backdrop to an Aztec collection. Aztec temples were called Teocalli (god houses) by the Mexica peoples. The priests of the Aztec religion went to these temples to worship and pray, and make offerings to the gods to keep them strong and in balance. Aztec temples were often part of a step-pyramid, and they often faced west. A flight of steps led up to the sanctuary and there was a sacrificial altar at the top of the steps. Historical accounts describe the temples as mainly white buildings painted with bright colors. 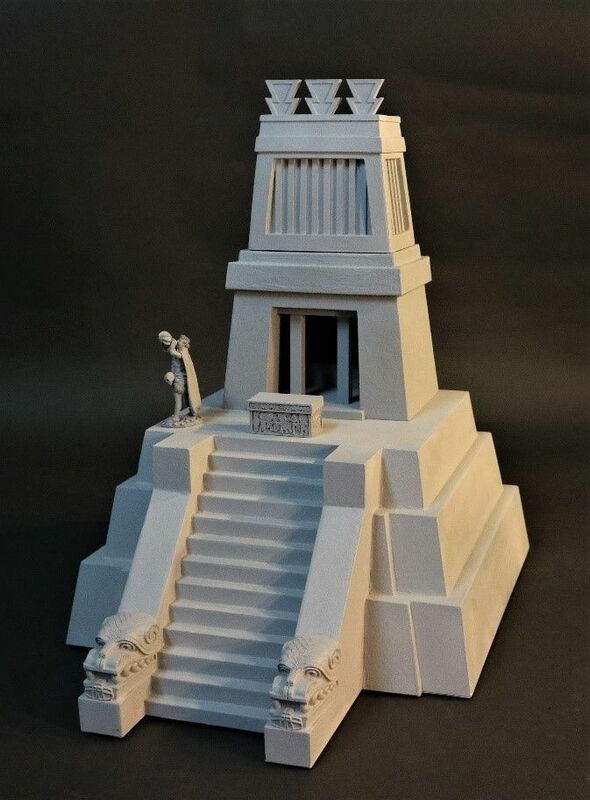 Please Note there will be 2 versions of the Aztec temple and they will be available for Pre-order this summer. The Wall measurements include an extra corner piece will be 35 ½” wide x 5 ½” deep x 7 ½” height. Please note the first of the wall sections will be available in June 2019, and will be available as a regular release. This entry was posted on Saturday, March 30th, 2019 at 7:33 pm	and is filed under John Jenkins. You can follow any responses to this entry through the RSS 2.0 feed. You can leave a response, or trackback from your own site.